Phil qualified from Birmingham University in 1989 and has been the practice owner since taking over the practice in 1994. He has been fundamental in helping Scott Arms grow into one of the largest and most highly reputable practices in the West Midlands. He has developed a highly qualified team of dentists and support staff including a specialist in orthodontics, a dual qualified doctor and dentist, and many prize winning top dentists with honours. 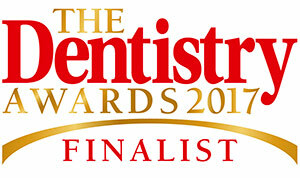 Phil is one of the most experienced implant dentists in England. He has been placing dental implants since 1990 and clinically provides support and oversees implant cases at Scott arms dental practice. He has supported and mentored many dentists over the years, providing lectures and teaching in this area. 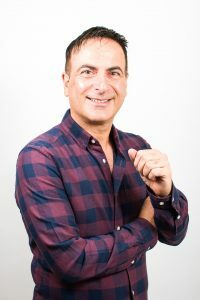 Since 1990 he has placed many thousands of implants and was the number one placers of Biomet 3i Implants in England for over 10 years, which is one of the top selling implants in the USA. The practice moved to Straumann (SLA active BLT) implants in 2013 as technology developed, this system is considered one of the best on the market. Phil has also completed extensive post graduate training, receiving his fellowship and diplomatic status with the International Congress of Oral Implantologists in Sydney, Australia and received his Diploma in Implant Dentistry from the Royal College of Surgeons (London). Phil and his team accepts referrals for dental implant treatment from general dental practitioners across the country. Phil lectures to other dentists on implant dentistry and is also a member of the teacher’s sedation group. He has worked part time at Birmingham Dental school, looking after dental students and was nominated for the best clinical case prize and received a scholarship for his elective on composite (white filling) materials. He has been teaching newly qualified dentists for over 25 years and has been part of the national vocational training scheme for over 10 years, with four of his last six dentists winning the prizes for the best clinical audit and clinical cases. Phil has been a member of the local dental committee for over 10 years and has previously assisted the PCT/ area team (local health authority) with their practice inspections. Employer of the Year 2017 and 2016 Sandwell Business Awards. 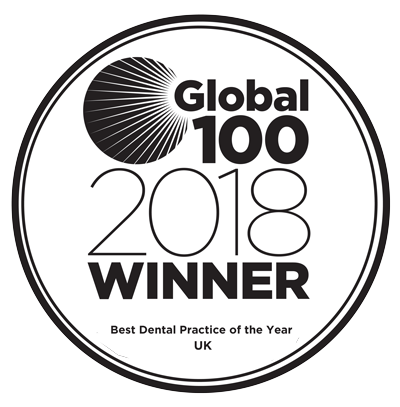 Best Dental Clinic, Midlands 2017 A1 Global awards. Dental Expert Awards 2016 & Leading Dental Expert in the West Midlands GHP 2016. Phil has over 28 years of experience with implants and places Straumann Dental Implants. Phil also has experience in placing many implant systems, including Biomet 3i implants, which are one of the top selling implant systems in USA and over the last 10 years Phil has placed more Biomet 3i Implants than almost any other dentist in England, changing the lives of thousands people for the better, helping them to smile again and increasing their confidence. In his leisure time Phil enjoys mountain biking and has taken part in many charity events including cycling from London to Paris to raise money for the sports charity Regain and Cancer research. Phil enjoys gardening and has a keen interest in wildlife, he has also represented Birmingham in chess competitions. He regularly takes part in 10k and half marathon runs for charity and likes to keep fit. Click here to return back to the rest of the team.